Over spring break, I had one day to spare from work so I told the kids we would take a day trip. Their request: a learning trip. We love going places to explore that have a hint of learning. Sure, there are those times for pure, giggle-full fun but more times than not, my kids want to learn. Love that! I decided on Frankfort because it's about an hour from home so it's doable in a day without having to get up and out very early. 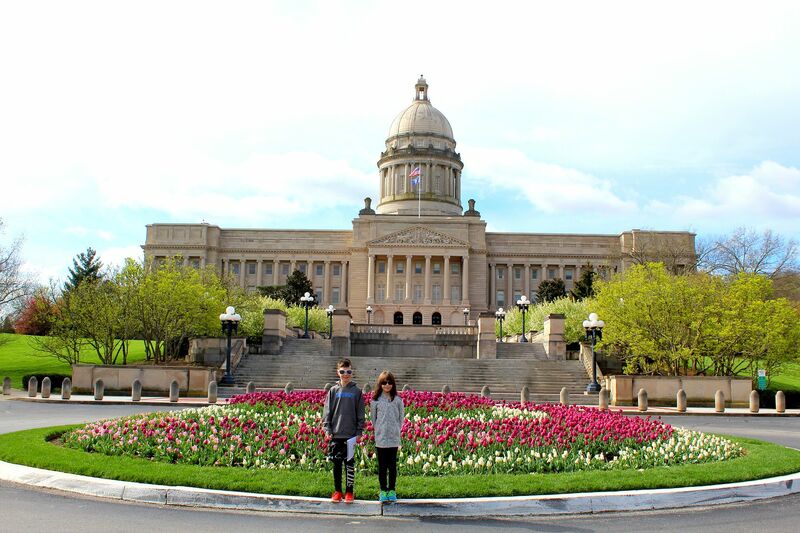 After breakfast, we grabbed our book about the Kentucky state capital and took to the road. Get yourself to I64 toward Frankfort from wherever you live. The exit I recommend is 53 onto Lawrenceburg Rd toward Frankfort. Head into town and you can choose two ways to get to the capitol area: 1)take 60/Louisville Road east and you will arrive on the same side of the river as the capital. 2)Cross over 60/Louisville Rd and continue on Lawrenceburg Rd and you will go beyond the capital but approach it by going through the downtown area and some great historic areas. Basically, go in one way and out the other and you have it all covered! When you take the 60/Louisville Rd route, that's when you will pass the small parking area for the scenic overlook of the capital. It's a great stop for photo opps. There are two maps online that I recommend you print and take with you for each child. Click here and here. One covers the grounds and the other the interior of the capitol building. It really helps the kids focus on what they are seeing and appreciate the details. We liked finding the markers for time capsules and learning tidbits of history as we walked around. Visitor information can be found here. There's plenty of parking around the building and on adjacent streets. The hours are Monday - Friday, 8:00 a.m. - 4:30 p.m year round. Saturday, 10:00 a.m. - 2:00 p.m. (April through October). It's always closed on Sunday. You just walk on in and check in with security. You can arrange for a guided tour if you prefer. 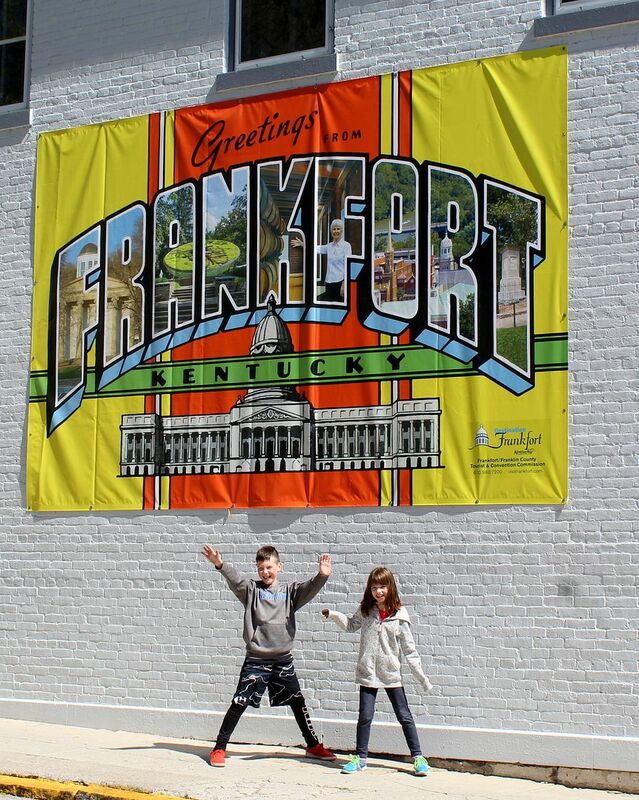 We crossed back over the river to find the main street in Frankfort. It was quiet but we could tell that it's a wonderful place for festivals and such. Luckily, we spotted B's Bakery right before it closed. It is the most adorable spot! If I did this trip again, I'd go there first for coffee and pastries. The decor was unique and the treats were not only attractive, but delicious. We snagged a brownie, cookie and donut holes to go....for way less money than I thought at such a nice place. 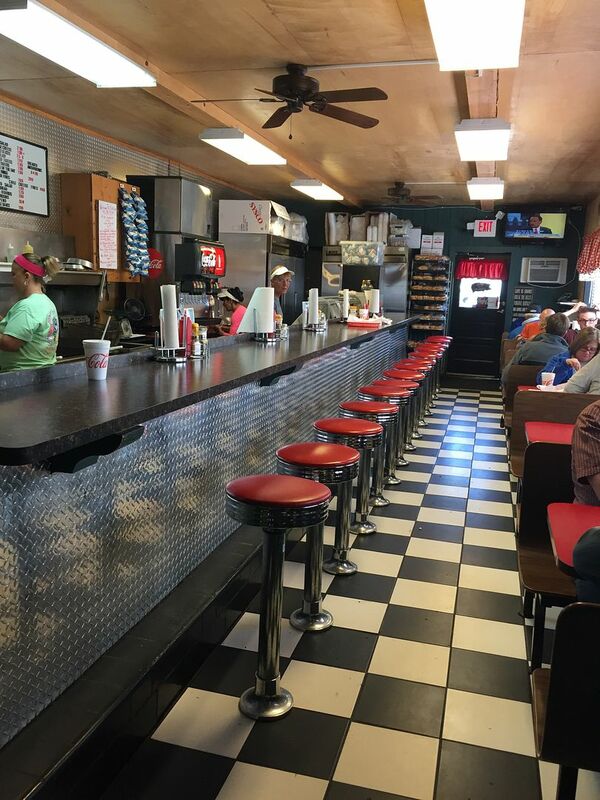 We sat at one of the picnic tables downtown for our snack before heading up the street to the original state capitol building and another awesome strip of shops featuring a coffee shop and local all-things-Kentucky shop. We also were too late to explore the free Capital City Museum, so we'll have to do that next time. 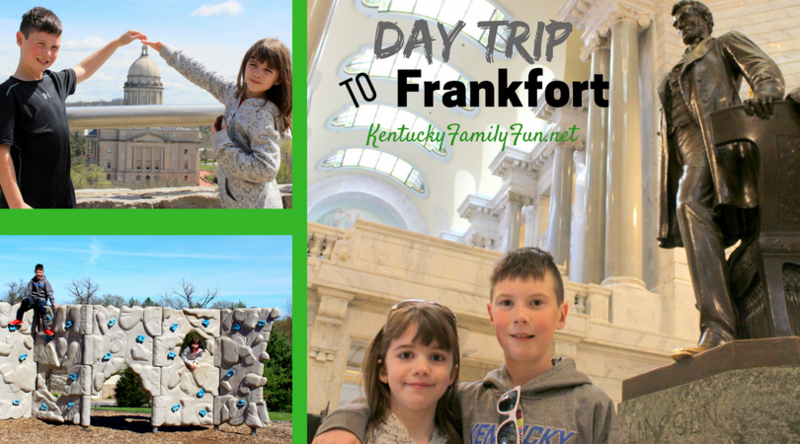 And, on the next trip, we are totally using the Frankfort Public Art Tour map to have a little scavenger hunt to find everything - the kids would love that. We also drove by Liberty Hall and noticed they have tours and events. That will go on my "next time" list. As you can see, you can spend your day in downtown if you like! If you go back out to 60/Louisville Rd and head west, you will get to the Salato Wildlife Center. When we went, there were quite a few animals off exhibit so if you are planning a day, give them a call and check on the animals that are out and about their areas. It's just $5 for adults and $3 for kids (children 4 and under receive free admission) so we didn't mind exploring when the place wasn't totally active. We were there for about two hours and saw it all, my kids moved fast. There are times when they have educational experiences with the staff both indoors and outdoors so ask for those times when you go in. There's an indoor area with some hands-on educational fun, turtles, snakes and more. 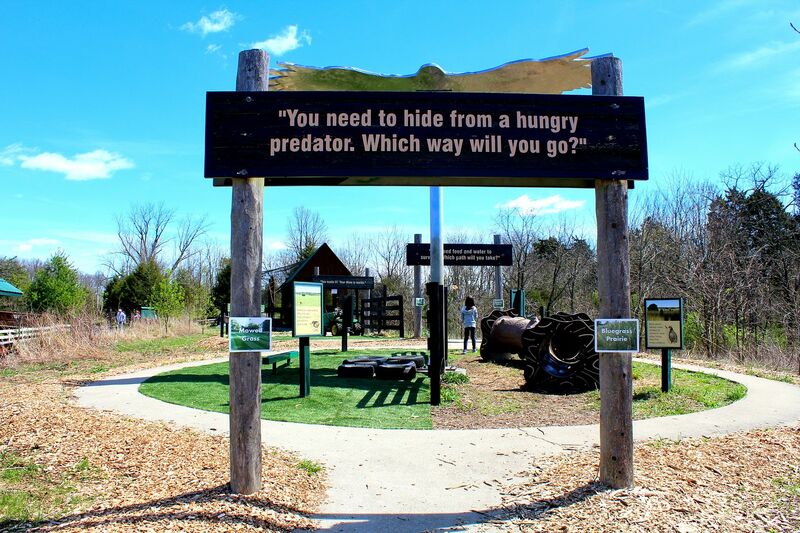 Outside, there is a paved path for navigating the center and the kids will love the black bear, wildcat and the play area among other exhibits. It's worth a stop if you are in Frankfort. 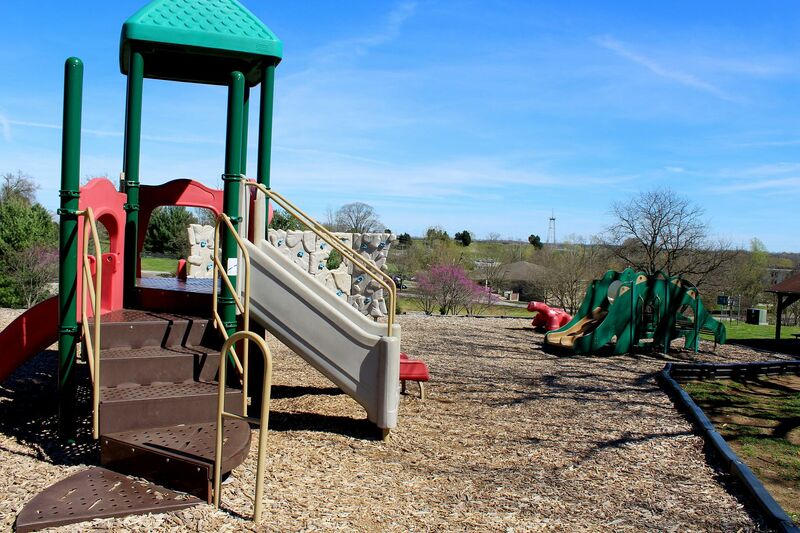 This park is known for it's relatively new aquatic center. But, it has a nice playground area as well. We love finding a playground everywhere we go......to burn off our sugar consumption. This playground sits up on a hill so it's a great view for relaxing while your children plan. It was suitable for a variety of ages and way clean. This would be a perfect spot for a picnic or like we did, a short 30 minute stop to get the wiggles out before heading back home in the car. Since we were there in early spring, the restrooms were not open but they did have a clean port-a-potty nearby.